SALT LAKE CITY – If adversity is the best teacher, then the Cougars are learning plenty. The Cougars (9-10, 1-6 Pac-12) have now lost six of their last seven. “I have to keep reminding myself that Malachi (Flynn) was a starter last year on a senior-led team, four seniors,” WSU coach Ernie Kent said. “He just had to come and do his thing and he was OK. Robert Franks and Viont’e Daniels were role players and now all the sudden I have a team where those are the only three guys who have been in the arena on this floor. Washington State trailed 42-32 at halftime, but cut the lead to six points after a 7-0 run early in the second half. 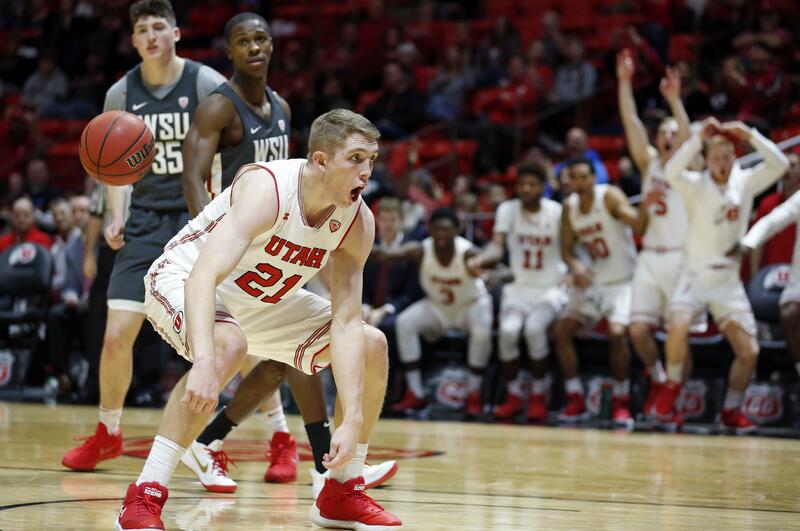 The Utes (12-7, 4-4) answered with a 14-5 run that essentially put the game away. Flynn (19 points) and Robert Franks (18 points) carried the load for WSU. “I thought there were several defensive breakdowns,” Kent said. “We tried to do a couple of different things to offset that, but our focus and attention to detail on that end of the floor was not there tonight and they made us pay. “Everything, to me, came back to what went on at the defensive end of the floor. WSU heads to Washington to play the Huskies on Sunday. Published: Jan. 21, 2018, 7:41 p.m. Updated: Jan. 21, 2018, 9:57 p.m.